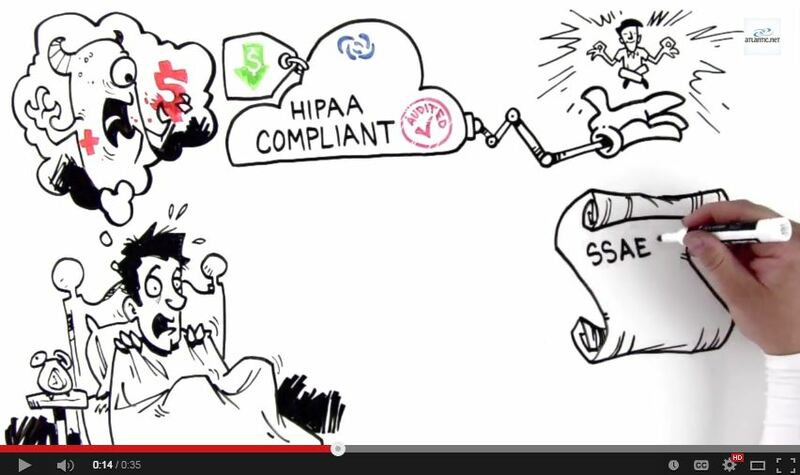 Relaxing HIPAA Compliance – Superb Internet Blog - Delivering 360° Hosting Experiences – and blogging about it! As if tech wasn’t already granular and heady enough, HIPAA oversight by the federal HHS Office of Civil Rights makes data protection even more challenging for healthcare companies. HIPAA can be stressful, and it can also be costly. It’s headache-inducing because enforcement is on the rise, with more than $10 million of financial settlements listed on the OCR “Wall of Shame” in the 12 months leading up to June 2014. A major stress-reduing change for healthcare organizations came last year, by way of the HIPAA Omnibus Final Rule: now business associates must report to the government just as covered entities do. In other words, hosting providers, shredding companies, or any other firm handling healthcare data now truly shares compliance duties with its clients. As indicated in the above video, a strong HIPAA compliance plan doesn’t just allow healthcare companies to relax: it also is cost-effective. Atlantic.Net meets the needs of our healthcare partners with affordable turnkey HIPAA solutions, based in our SSAE 16 Type II certified datacenter in Orlando, Florida. Certification & Compliance: What is SSAE 16?